I have updated the candle so that it looks a little bit more like a candle. 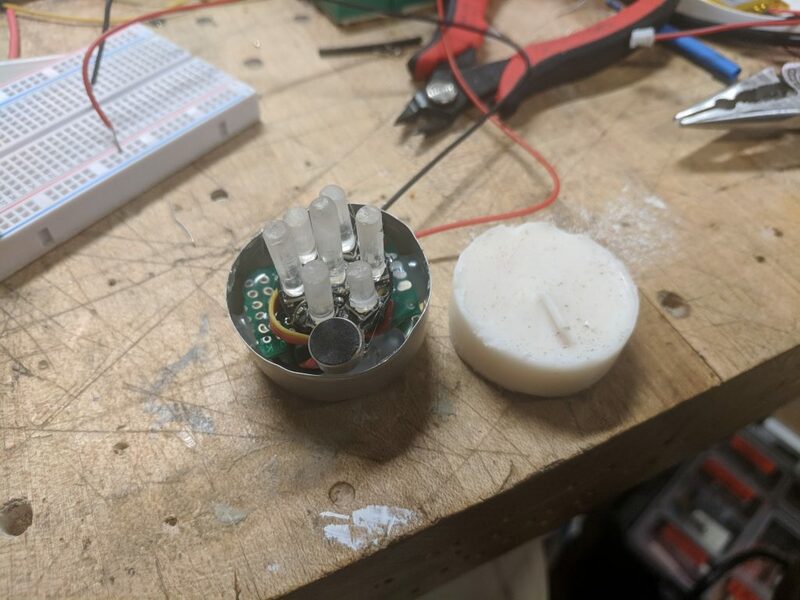 Although the assignment was to replicate the essence of a candle, not necessarily remake a candle in the literal sense, I decided to enclose my e-candle in a way that evokes the real deal. Since I’m going for the feeling of lighting and un-lighting a real flame, I figured a true-to-life look would help sell the experience. 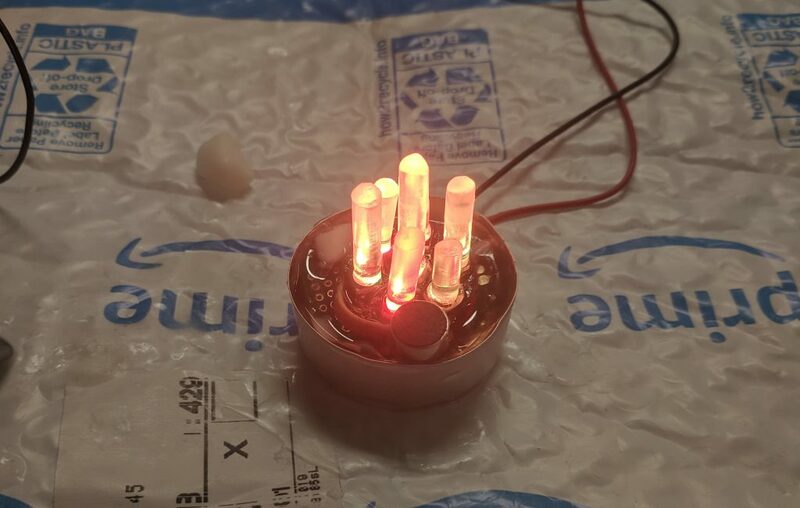 Last week I took my first DIP into ATTiny waters. 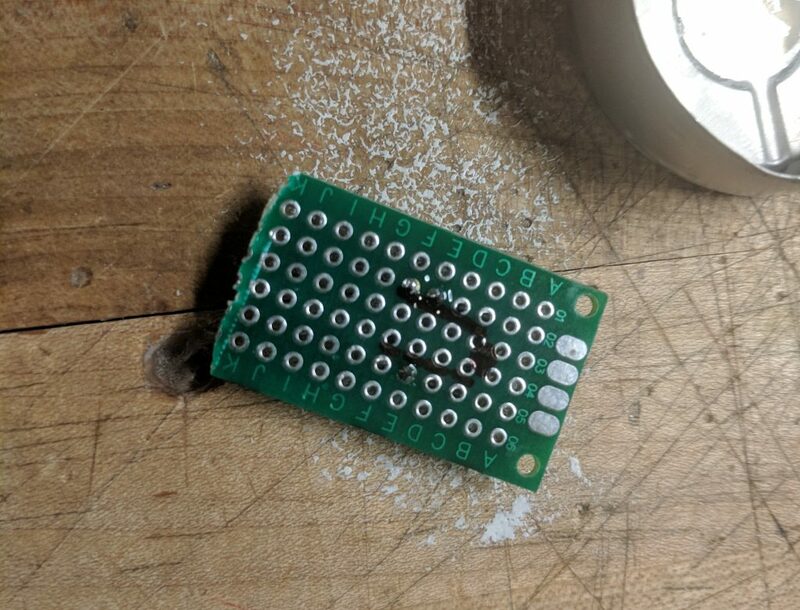 Although using the ATTiny adds a tad more complexity into completing a project, it opens up many new possibilities for small enclosures. Originally I didn’t intend to use the Tiny this week. I had procured a large candle to house the electricals, but like a muppet I drilled too fast into it and broke it in half. 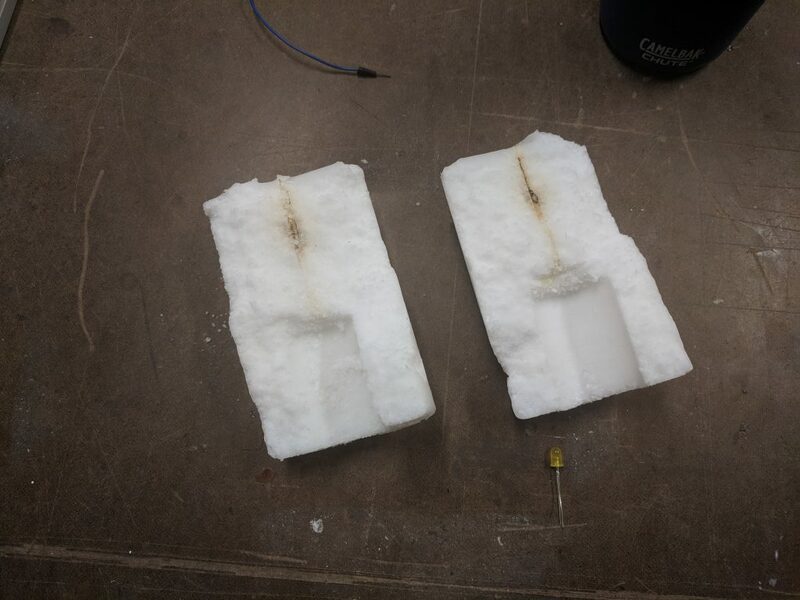 A candle, broken in half. I panic-raided the junk shelf to see if there was an appropriate container that I could melt the wax into or something, and found a single tealight candle. Not one to shy away from a challenge, I found myself asking: can I fit A into B? 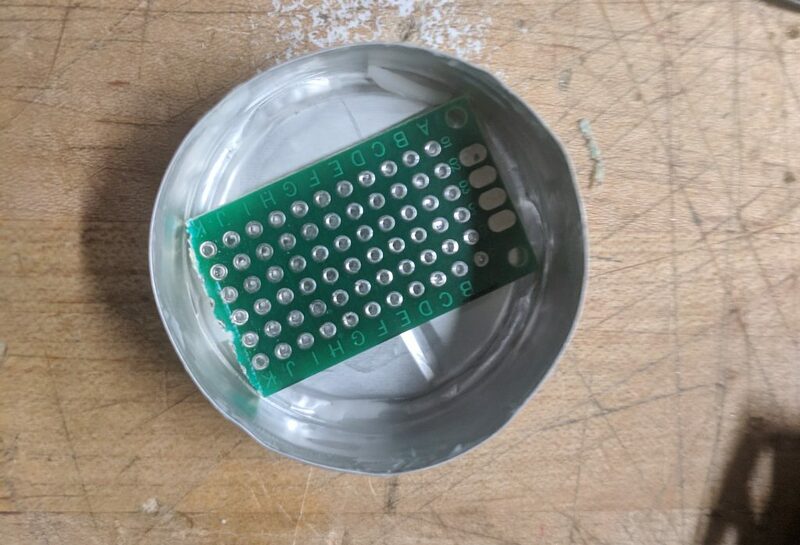 The process was simple enough, since I had everything breadboarded up. 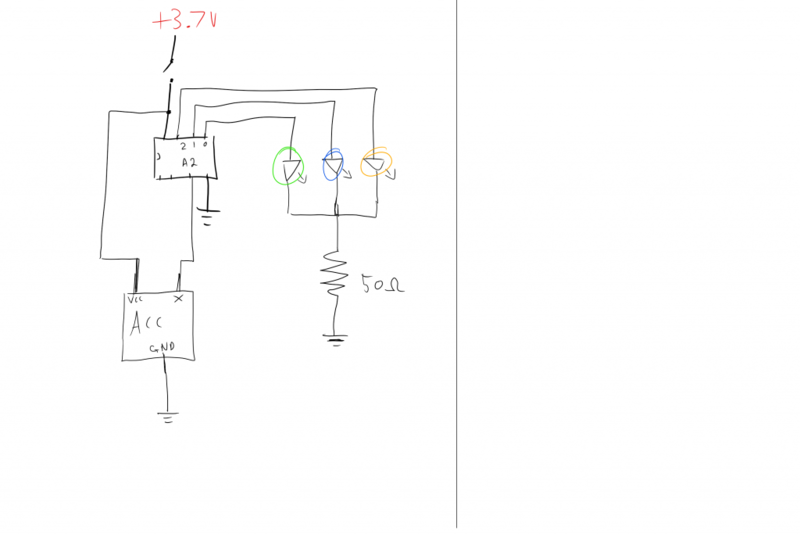 I first made sure the circuit worked on a Tiny, which it did without much trouble. 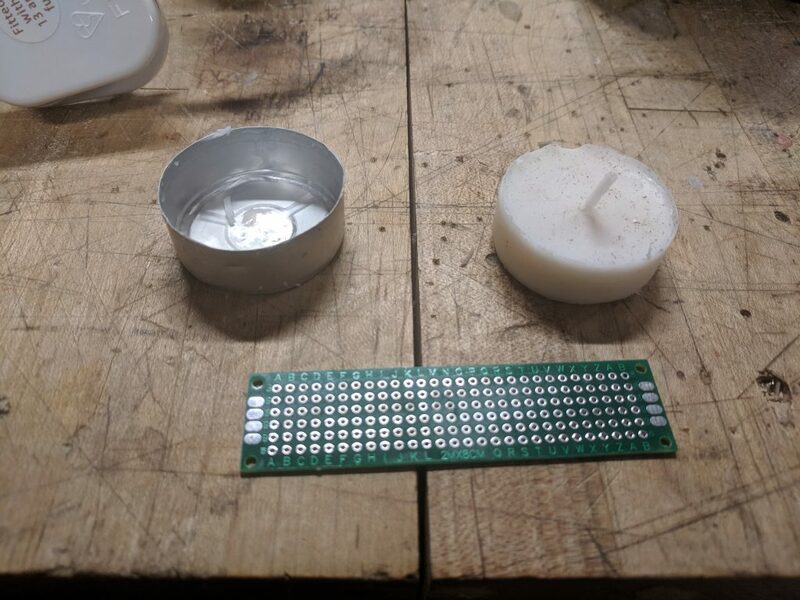 I had a blank PCB board that, with some adjustment, fit nicely into the candle’s cavity. In the end the package just fits within the candle. The microphone sticks out a little but as the project currently stands that is unavoidable. 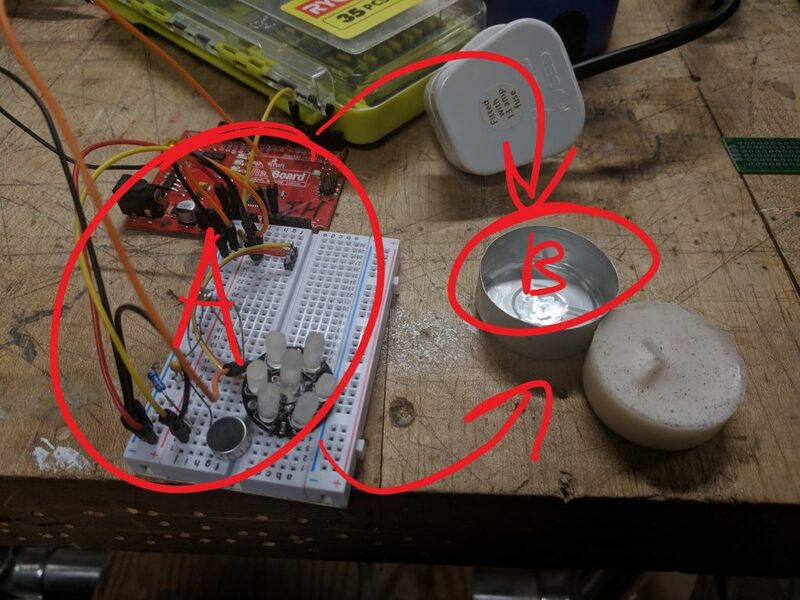 Perhaps the next iteration of this project could involve a NeoPixel ring instead of the jewel, and house all the different sensors on the inside of the ring.